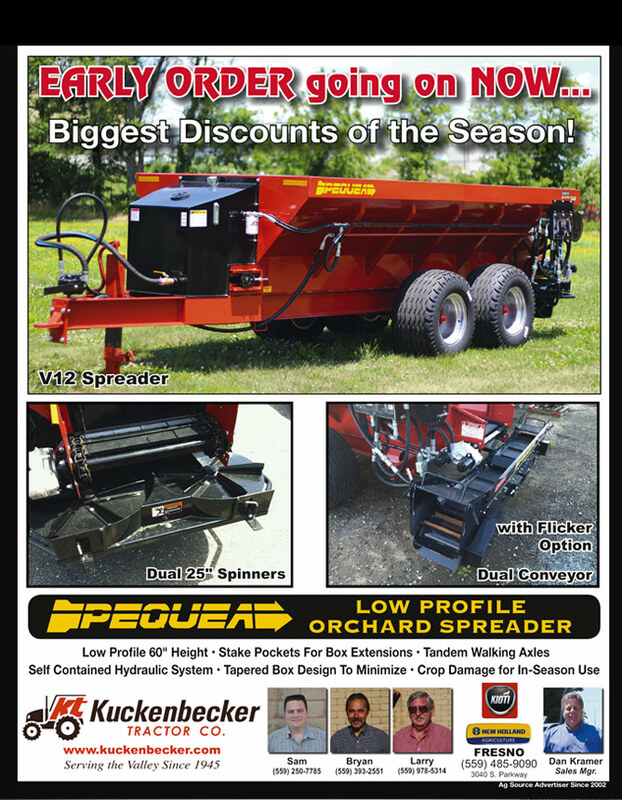 Kuckenbecker Tractor Co. » Early Order Discount Pequea! Biggest Discounts of the season! Early orders going on now. V12 Spreaders! Dual Conveyor 25″ Spinners With flicker option. Low Profile 60″ height, Stake Pockets for Box Extensions Tandem Walking Axles, Self Contained Hydraulic System, Tapered box Design to Minimize Crop Damage for in-season use.